Contrary to its cold, austere reputation, the capital of Belarus is a progressive, modern and friendly place, where the streets are lined with cafes and impressive restaurants, locals and tourists alike sit in the (seasonal) sunshine on the town squares, and crowded nightclubs, sushi bars, and art galleries all call this post-Stalin city home. I was here about five years ago and was surprised by the up-beat good energy of the place. Good cafe culture and a good sampling of restaurants offering up various ethnic cuisines. Minsk is incredibly polished, modern and clean, more so than I expected. With long, wide boulevards and an efficient train system (which feels like stepping back in time due to the Soviet paraphernalia in them), it's relatively easy to navigate the city, even without speaking the language. 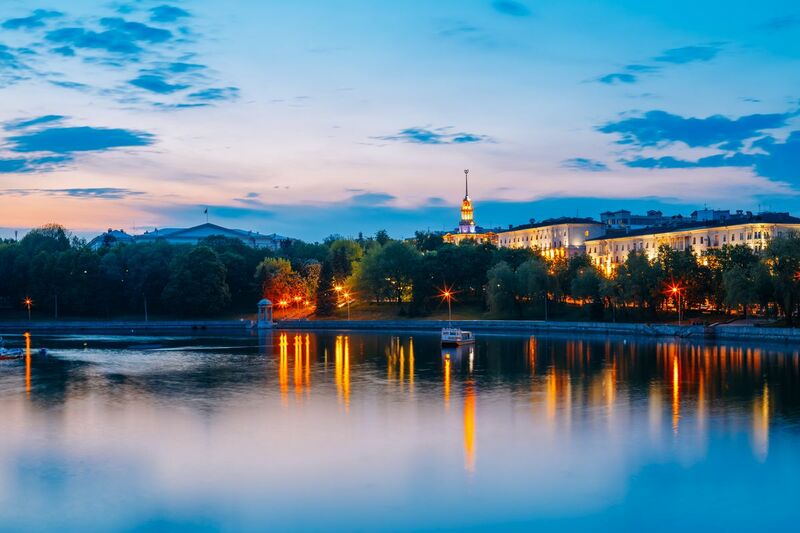 There's many fascinating historic monuments, lush green parks and outdoor cafes serving traditional Russian and Belarusian specialties, like blinis. Minsk is definitely worth visiting, as it feels like a hybrid of Western and Eastern Europe. This is also true in its restaurant and hotel prices, which are generally higher than neighboring Poland or Ukraine: without much of a tourism industry, anything related to tourism paradoxically costs more. If you like a glim authoritarian country that is home to red cross and repressive regimes then you will love Minsk. Go for mushrooms and stay for cheap beer. Spend millions of rubles like they are hundreds because they are. The first thing you will notice in Minsk is how clean and safe it is. It’s one of the benefits of living in a police state. There are more cops per capita in Belarus than in any other European country. Belarusians fear the police, which are so powerful that they can stop a car when they are on foot. I watched one policeman, for example, standing on a busy boulevard with cars zipping by at 60 kilometers per hour. Even though he didn’t have a police car supporting him, he just had to point to a car and the driver would stop on a dime. It’s unlikely that the policeman could have read a license plate so fast, but drivers didn’t want to take a chance. Getting caught by a Belarusian policeman is about as much fun as going on a date with the Spanish Inquisition. I saw lenin statue in minsk.it surprised me.